In the near future, Jeff is dying. Haunted by his dark past and current deterioration, he abandons Melbourne, and his long-suffering partner Faye, for the relative remoteness of Scotland. Once there, he abuses a technology that allows him to enter the consciousness of Leonora, a woman living in the Scottish Highlands in the 1860s. As Leonora grapples with the move from the countryside to Edinburgh, along with her own burgeoning sexual desires that are at odds with social conventions, she must also contend with the effects of sharing her mind with Jeff: strange thoughts and visions of a world she has never known. Comparisons with Diana Gabaldon’s Outlander series are unavoidable: both feature Scotland, time travel, and a captivating sensuality. That being said, Meyer has crafted a much stranger and much darker beast. Alternating between the future and the present, and between Jeff and Leonora, Meyer’s blend of science fiction and historical fiction is much more disorienting than Gabaldon’s – a deliberate authorial choice that destabilises the reader but also keeps them coming back for more. Tackling hot-button issues such as feminism, forbidden desires, self-destruction, abandonment, gender, mental health, and social boundaries, this book is bound to challenge and confront the modern-day reader. 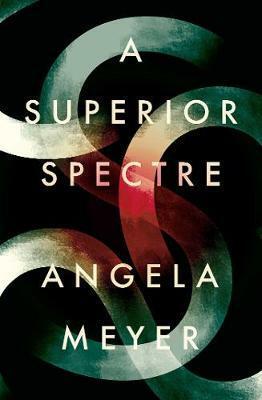 A Superior Spectre is not an easy read. However, it is endlessly captivating and rewarding for the reader looking for innovation and a literary challenge. It’s an exciting debut from a local talent and if you care about the future of Australian fiction, look no further. Tristen Kiri Brudy works as a bookseller at Readings Carlton.